This document is outdated and has many broken links. Please check Pickles's FAQ for more current info. This PC to Mac File Transfer document explains how to D/L Mac drivers/software on a PC and get it to a 1.44 Mb floppy equipped Mac. This document was originally written by Matti Haveri (matti.haveri@sjoki.uta.fi) (http://www.sjoki.uta.fi/~shmhav/) in the Classic Macs Mailing list. If you don't yet have a bootable mac disk but instead have a working (!) PC, you can make a bootable System 7.5 mac disk on a PC: Expand Network Access Disk image with Aladdin Expander-win and write it to a HD floppy using WinImage - this disk boots a SuperDrive-equipped mac if it supports System 7.5. (WinImage doesn't seem to support self mounting image files (.smi), only "plain" disk images so this trick doesn't work with all System files on the net). But wait, System 7 needs 2.5-4MB RAM so you need to get System 6 instead for your 1 MB SE. AFAIK, regular PCs can write only to mac formatted HD floppies (not DDs) so you need System 6 on HD floppies. I guess only System 6.0.8L was on HD floppies? Does 6.0.8L boot a SE? So: to start with, get System 6.0.8L (or some other System 6.x on HD floppies in Disk Copy 4.2 format), decode, expand and write it to a floppy using a PC. 1. 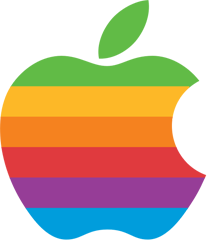 Get Mac-ette and StuffIt Expander (get the MacBinary version!) to the PC. Get also WinZip and Uucode if the PC doesn't already have similar apps. Use _binary_ transfer. 2. Uudecode, unzip and launch macette.exe on the PC. Put in a mac-formatted HD-diskette (or format it with Mac-ette) and open the desired folder/directory in it. 4. You can FTP and copy subsequent mac-files to PC-diskettes. Remember to use _binary_ transfer with MacBinary *.bin and compressed files such as *.sit and *.cpt! Mount PC-diskettes on a mac equipped with SuperDrive (using PC Exchange, Access PC or DOS Mounter; all macs excluding the Plus and some older SE's have SuperDrive) or copy them using Apple File Exchange (binary transfer with AFE) to the mac. Decode and expand them with StuffIt Expander. If the file is too big to fit on a floppy, use WinZip on the PC side to compress and segment/span it into smaller parts to PC-diskettes and extract the file using ZipIt on the mac. Another option is to split a BinHex file with a PC word processor or uuencode and segment the file on a PC and join them on the mac. ...you want also DropStuff with expander enhancer; together with StuffIt Expander it decodes and expands almost everything (bin, hqx, sit, cpt, uu, gz, tar, Z, arc, zip).